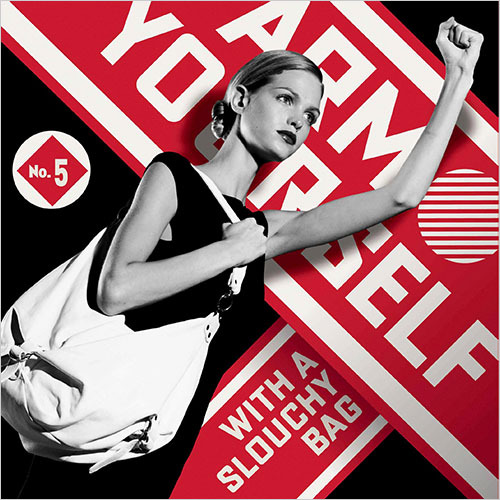 Sensing a recession isn't exactly an enabler for Jimmy Choos and Prada handbags, Saks Fifth Avenue takes on the marketing style of Communism ... and Stolichnaya. The high-end department store tapped Shepard Fairey, architect of the familiar Obama Hope poster, to infuse worker's morale into its Spring 2009 "Want It!" campaign. 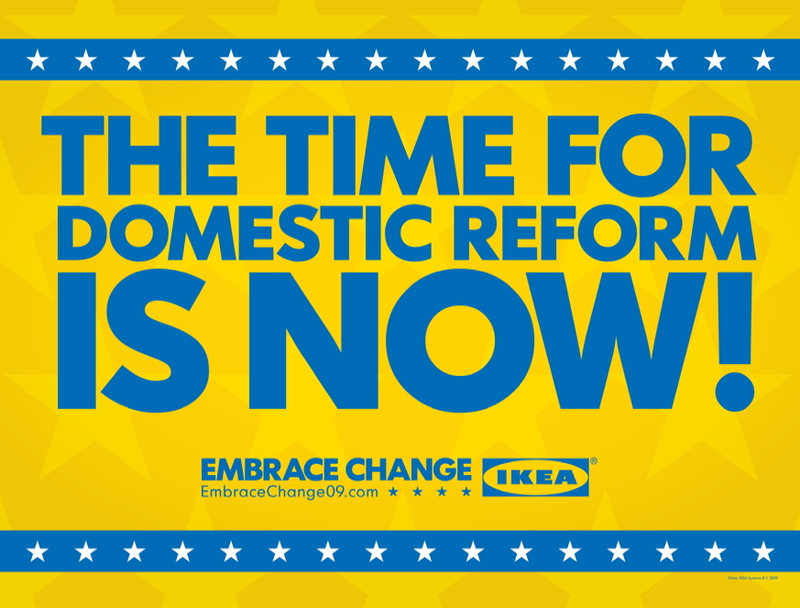 IKEA Wants the White House. o "Fiscally responsible home furnishings FOR ALL!" o "Change Begins AT HOME!" @tim_nolan introduced us to The Fist of Oblivion, a bizarre web series directed by Roman Coppola for Scion Broadband. Scion Broadband, a lifestyle content network targeted to young, thrifty and image-conscious drivers, launched in 2006. We didn't realize it was still kicking. And while it's hard to go wrong with muppets, kung-fu and mobsters, we're glad there's a place where Scion's ad folk can potentially still express its creativity. Everyone Has a Song Inside. But Few Should Give Birth to It. Microsoft channels Dr. Horrible with this scary new ad for Songsmith. Not since Vista's Rockin' Our Sales music video has Bill Gates' baby so deftly tapped the Twitter rubbernecking reflex. Five-time Olympic medalist Nastia Liukin invades fashion rags for BCBG Max Azria. The limber gymnast brings physical abandon and sugar-plum-fairy guilelessness to a medium dominated by sullen, overposed divas. Just another treasure from the haute coffers of Jeremy Dante. Visa first captured Liukin's porcelain ballerina quality in this ad for its "Go World" campaign, which aired during the Summer Olympics. Shortly after the Games, honey was deluged by spokesmodel opps. Clamoring suitors included Cover Girl, Vanilla Star and Wheaties.